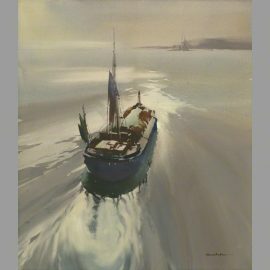 Print of a Humber Keel sailing Barge in watercolour by Claude Buckle. Printed Area 8" by 9" Paper Epson Archival Matte Paper 192 gsm The print has a white border ready for mounting. 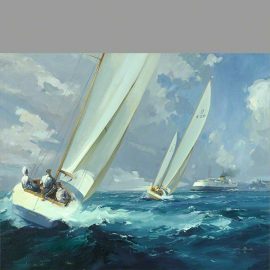 Certificate of authentication is included and the print is signed and numbered. Click image for light box view. 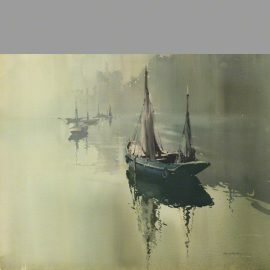 Print of the watercolour "Little Ships" by Claude Buckle Printed Area 8" by 11½" Paper Epson Archival Matte Paper 192 gsm The print has a white border ready for mounting. Certificate of authentication is included and the print is signed and numbered. Click image for light box view. 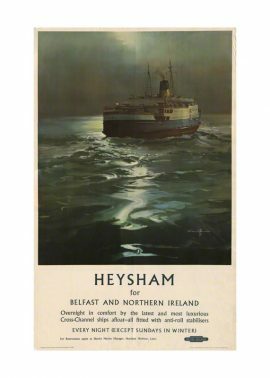 Reproduction poster of the Heysham Ferry the T.S.S. 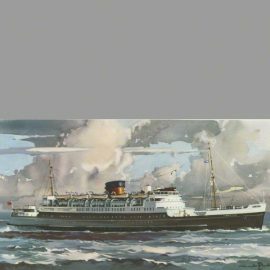 Duke of Lancaster by Claude Buckle Printed Area 37cms by 60cms Paper Semi Gloss Poster Paper This print has a white border and will fit a standard IKEA frame 50 cms by 70 cms. This print is unmounted Bespoke product produced to order. Allow up to 2 days for printing. Click image for light box view. 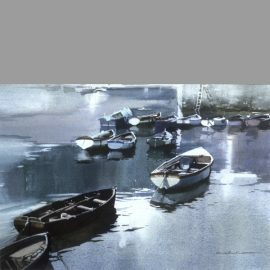 Print of the famous watercolour painting MV Swan Printed Area 16" by 6" Paper Epson Archival Matte Paper 192 gsm The print has a white border ready for mounting. Certificate of authentication is included and the print is signed and numbered, lower left hand side. 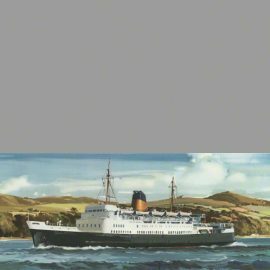 Print of the the Irish Ferry T.S.S Duke of Lancaster Printed Area 16" by 6" Paper Epson Archival Matte Paper 192 gsm The print has a white border ready for mounting. Certificate of authentication is included and the print is signed and numbered. Click image for light box view. Print of the of the Ferry M.V. 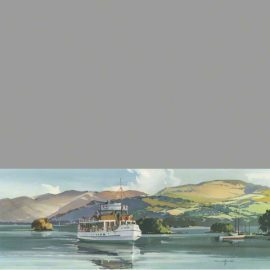 cambria crossing the Irish sea Printed Area 16" by 6" Paper Epson Archival Matte Paper 192 gsm The print has a white border ready for mounting. Certificate of authentication is included and the print is signed and numbered. Click image for light box view. 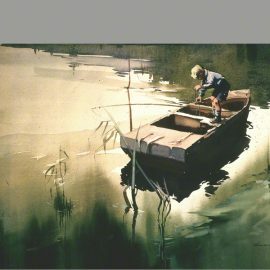 Print of "Little Fisher" boy a watercolour painting by Claude Buckle Printed Area 14½” by 10″ Paper Epson Archival Matte Paper 192 gsm The print has a white border ready for mounting. Certificate of authentication is included and the print is signed and numbered. Click image for light box view. 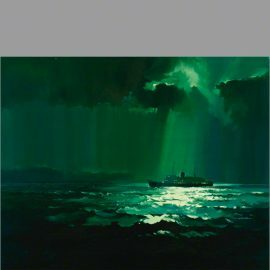 Print of the original painting "Ireland Overnight" by Claude buckle Printed Area 11¼" by 14" Paper Epson Archival Matte Paper 192 gsm The print has a white border ready for mounting. Certificate of authentication is included and the print is signed and numbered. This is a bespoke product made to order. Allow 2 weeks for delivery. Click image for light box view. 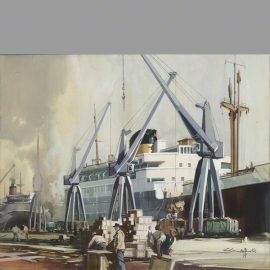 Print of the water colour Loading Up by Claude Buckle Printed Area 13¾" by 11" Paper Epson Archival Matte Paper 192 gsm The print has a white border ready for mounting. Certificate of authentication is included and the print is signed and numbered. Bespoke print made to order. Allow 2 weeks for printing. Click image for light box view. 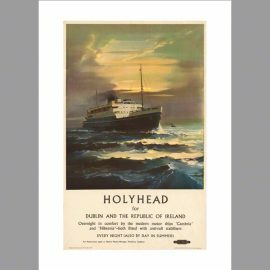 Reproduction poster of the Holyhead Ferry, MV Cambria by Claude Buckle Printed Area 15¾" by 9¾" Paper Epson Archival Matte Paper 192 gsm This print has a white border and will fit a standard IKEA frame 40 cms by 50 cms. This print is unmounted Click image for light box view. Print of the water colour "Misty Creek" by Claude Buckle. Printed Area 20" by 16" Paper Epson Archival Matte Paper 192 gsm The print has a white border ready for mounting. Certificate of authentication is included and the print is signed and numbered. [smaller prints are available 10″ by 8″ aprox] Click image for light box view. 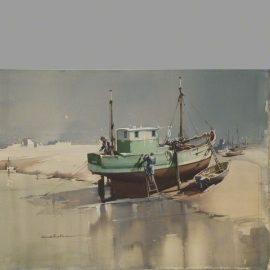 Print of the fishing vessel La Belle Amelie on the west coast of France near La Rochelle Printed Area 15" by 19½" Paper APT Dapple Art 245 gsm The print has a white border ready for mounting. Certificate of authentication is included and the print is signed and numbered. (smaller versions also exist 9½" by 13" aprox) Click image for light box view.